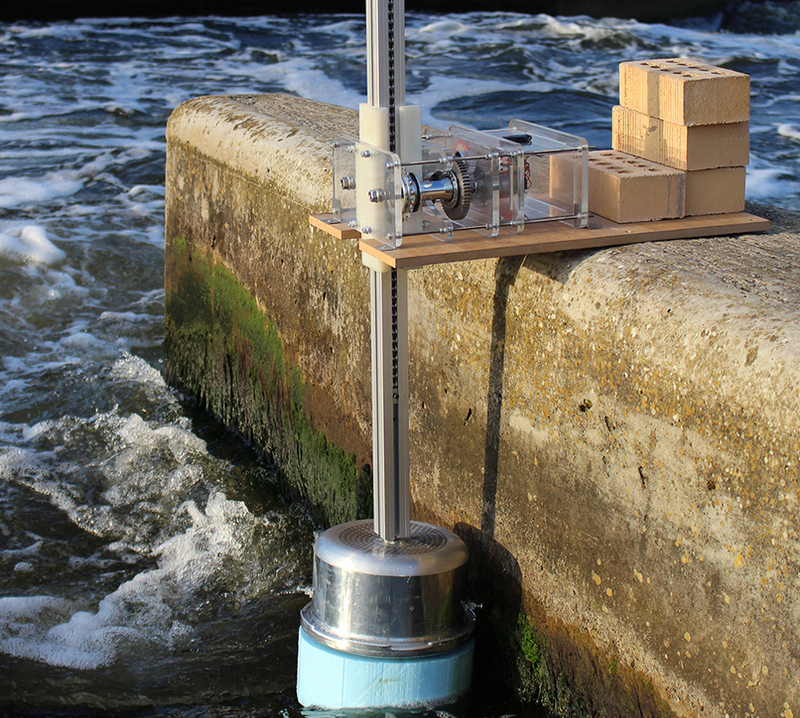 A product design undergraduate and a professor of intelligent engineering systems have joined forces to create a wave energy harvester from discarded household items. 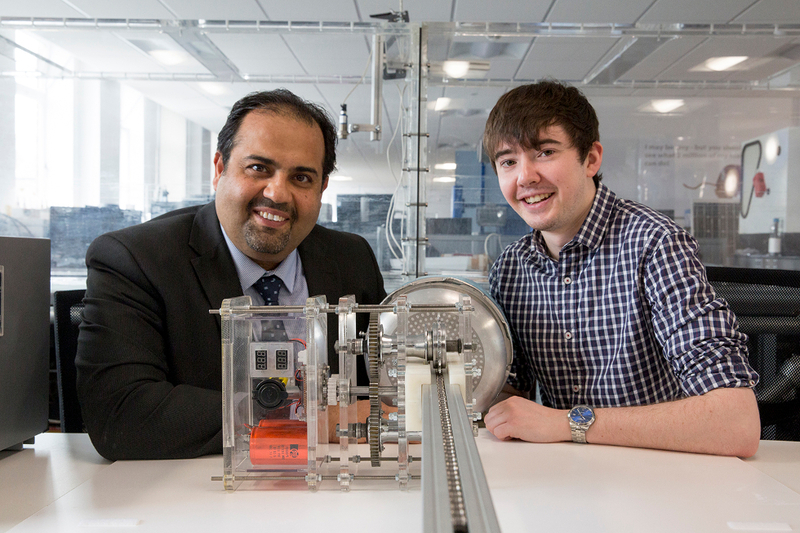 BSc Product Design undergraduate Owen Griffiths (above right) and Prof Amin Al-Habaibeh (above left) used old bike parts and a disused pressure cooker to create a wave energy harvester powerful enough to charge a mobile phone. The team from Nottingham Trent University made the device to help people in developing countries with poor access to electricity. Designed for near-shore use, it can reportedly generate 5.6W from a regular supply of 20cm high waves, making it capable to power a regular mobile charger. A working prototype will go on show for the university’s 2017 Degree Show from 3 to 10 June following experimental work in the institution’s wave machine. Owen, 23, said: “Many developing countries have a limited electrical network, particularly those like the Philippines which are spread over a number of islands. A pressure cooker – which is air tight and buoyant – is used as a buoy to bob up and down with the waves. A rack made from an aluminium extrusion channel is fixed to the pressure cooker lid, creating linear energy as each wave passes beneath. 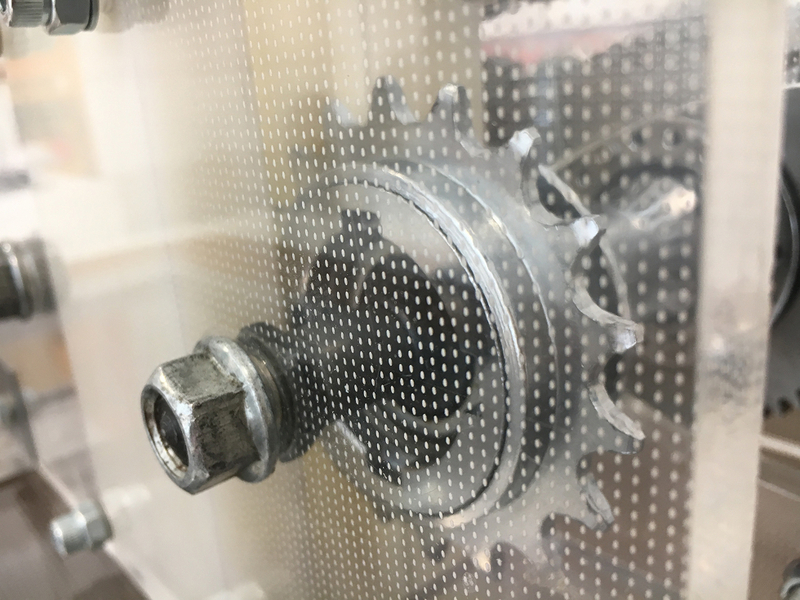 Encased in either side of the aluminium extrusion channel are lengths of bicycle chain which are used as teeth for the rack. Two bicycle sprockets are used as pinions and interlocked with the chains to convert linear into rotational energy. As the rack moves upwards with a wave, the first sprocket turns and powers the generator while the second is disengaged. As the rack moves downwards when the wave passes, the second sprocket turns and the first is disengaged. According to NTU, this allows the harvester to maximise its efficiency by generating power from both the rise and fall of each wave. Prof Al-Habaibeh, of the university’s School of Architecture, Design and the Built Environment, said: “This project shows how everyday items widely available around the world, which are often thrown away when no longer used, could be transformed into devices which can generate useful amounts of renewable energy.